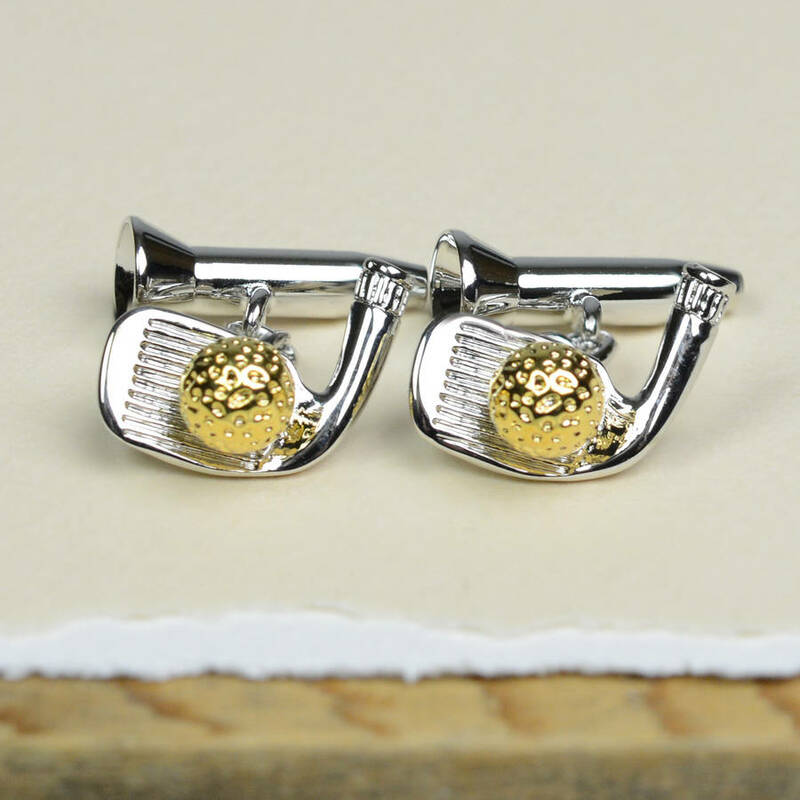 Looking stylish is par for the course with these fabulous golfer’s cufflinks. 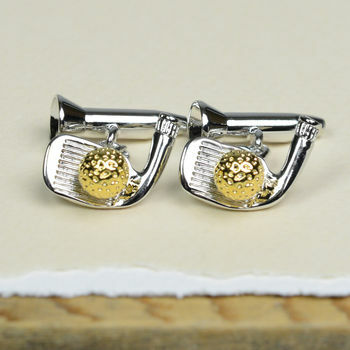 Keen golfers will love to show off at the 19th hole, when they’re sporting these smart golf club and tee cufflinks. 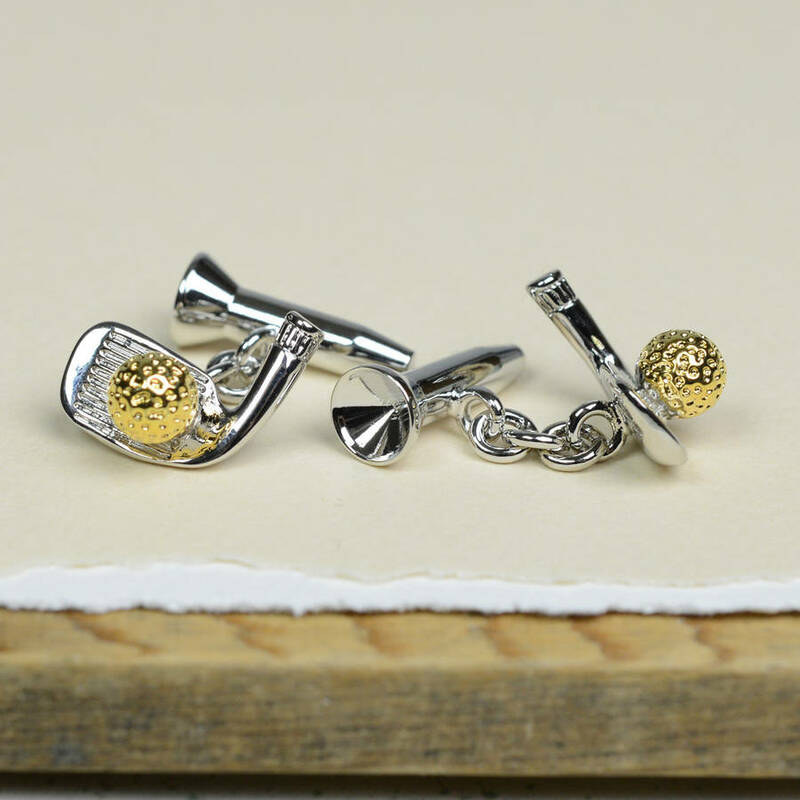 The clever chain design features a tee on one side and a golf club and ball on the other, making them super stylish from every angle. 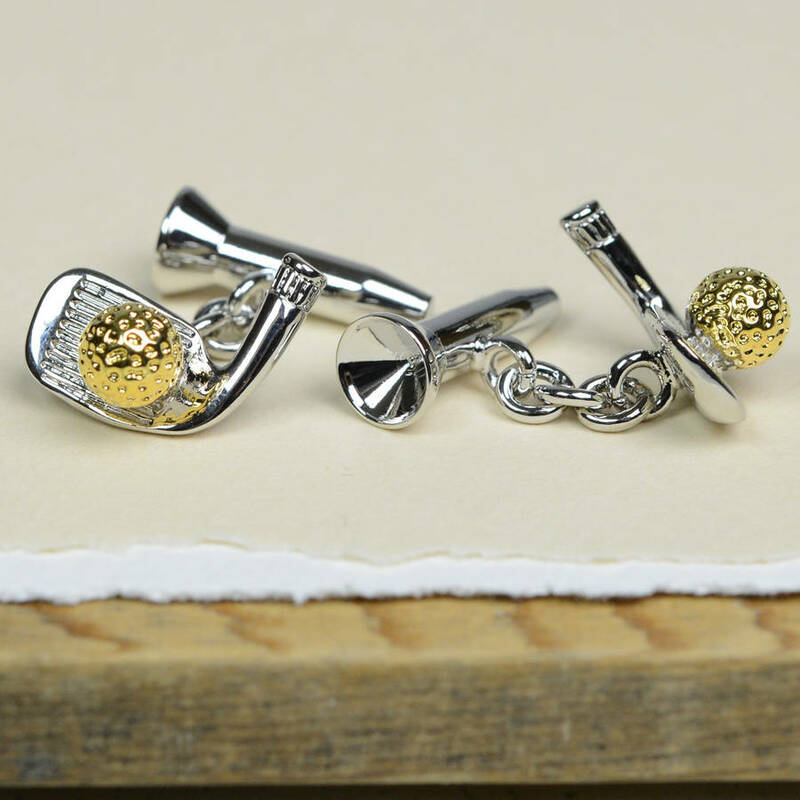 In a rhodium-plated finish with a gold coloured golf ball, these lovely cufflinks are presented in a black gift box. This product is dispatched to you by Bobby Rocks.